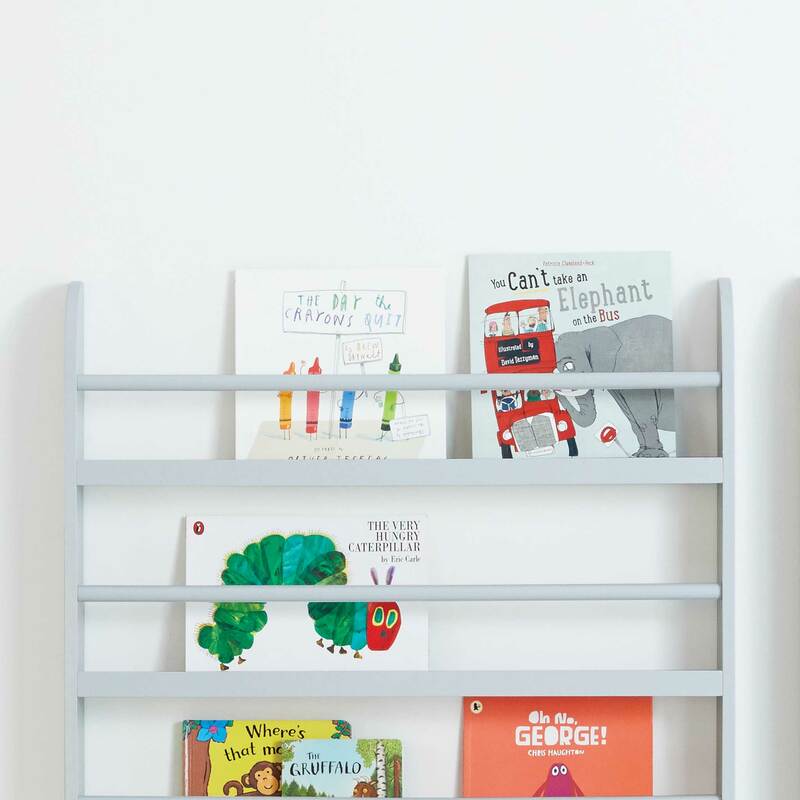 Greenaway Bookcase, Cloud Grey | Great Little Trading Co.
UP TO 50% OFF SPRING SALE NOW! Measurements: 118H x 80W x 12D (cm). Shelf depth: 11cm. Lower shelf height: 32cmH, other shelves: 24cmH. The wall fixings are not supplied with the unit, please use fixings that are suitable for the walls in your home. This bookcase is a GLTC classic; it keeps books off the floor but easy to view, so children can find their favourites. 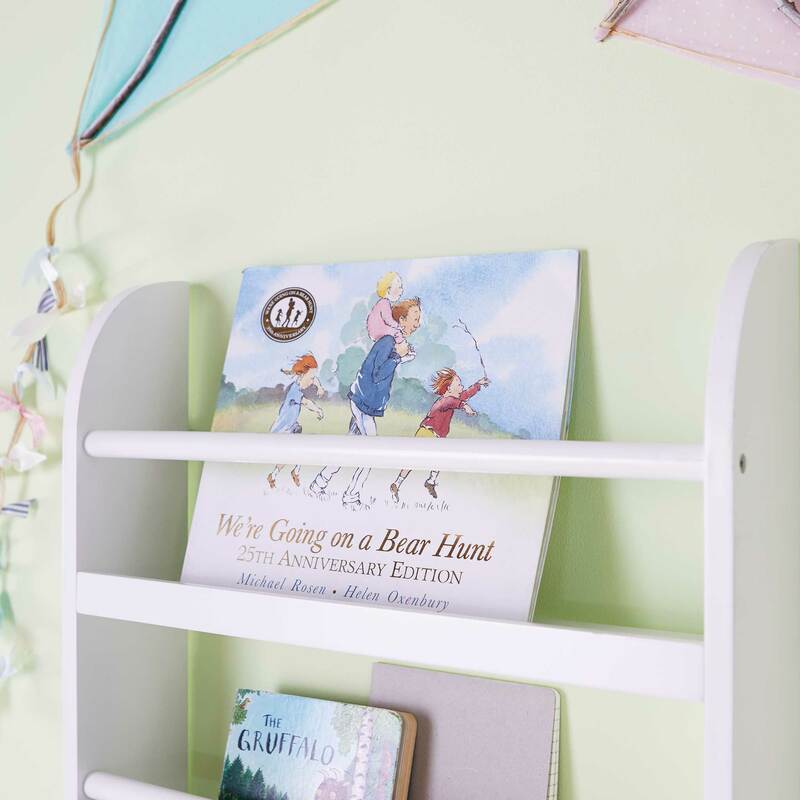 The shelves are deep enough for several books and the lowest shelf is just the right size for younger children's picture books. It makes a stunning feature in children's bedrooms. 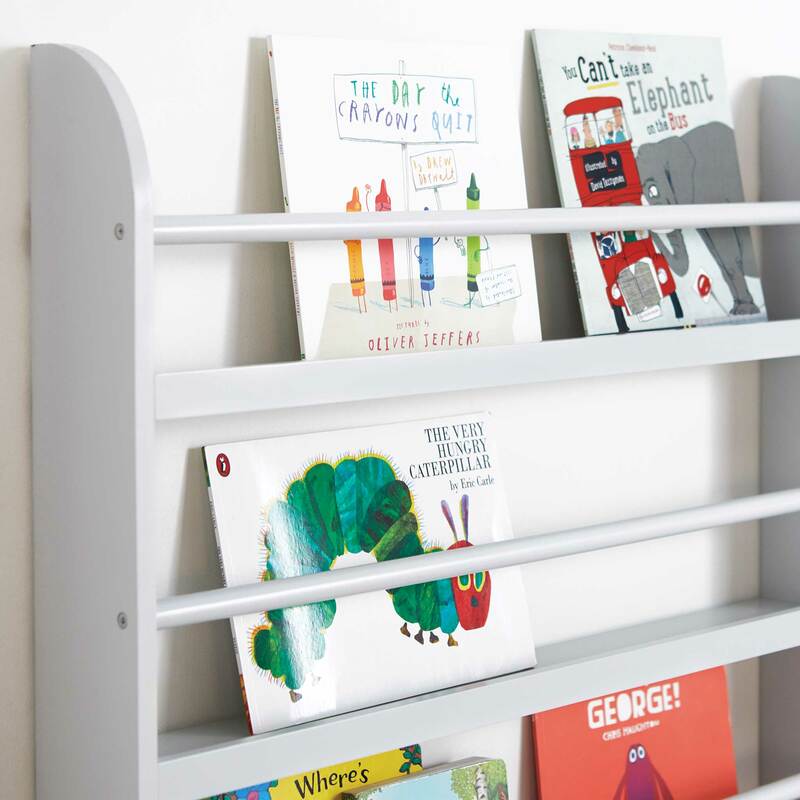 Our children's bookcase features a Cloud Grey painted finish, four shelves and is wall mounted. Please note wall fixings are not supplied; you will need to choose fixings that are suitable for the walls in your home. Our Greenaway bookcase also comes in White, and both colours are available in a Skinny size. For more ideas have a look at our full range of Children's Bookcases.